Book your beach holiday at the Jayakarta Lombok Hotel online and save up to 30% off regular rates. 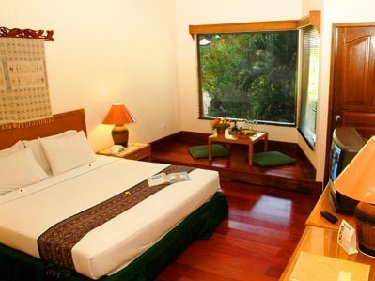 Internet rates start from just USD74 for a Standard Room, USD87 for a Deluxe Room, and USD93 for a Cottage. Rates include buffet breakfast for two people. Taxes and service charge totaling 21% are additional. This promotion is available until March 31, 2013. Quoted prices are based on single or double occupancy. Children over the age of 9 are considered adults. Children age 4-8 will be charged 50% the adult rate for breakfast. Children under the age of 4 stay for free. The Jayakarta Hotel is located on Lombok Island near beautiful Senggigi Beach. The hotel offers 171 rooms including 12 new apartment-style Junior Suites with a separate kitchenette and living area. 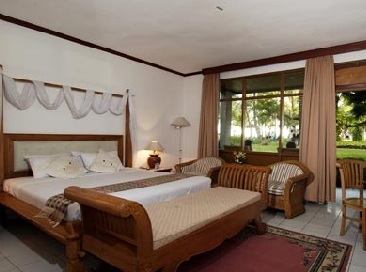 All rooms are comfortably equipped with air-conditioning, TV with satellite channels, IDD phone, mini-bar, and a spacious bathroom with separate bath and shower. All rooms have a private balcony overlooking the garden or pool area. The hotel also offers a pool, tennis courts, restaurant, and tour bookings. Visit the Jayakarta Lombok Hotel website for more information or to make an online booking. 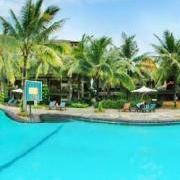 The hotel can also be contacted by calling (62) 370 693045-8 or emailing lombok@jayakartahotelsresorts.com.